We read in today's extract from the Acts of the Apostles: "The apostles were all filled with the Holy Spirit, and began to speak foreign languages as the Spirit gave them the gift of speech." 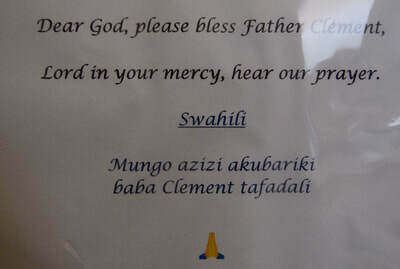 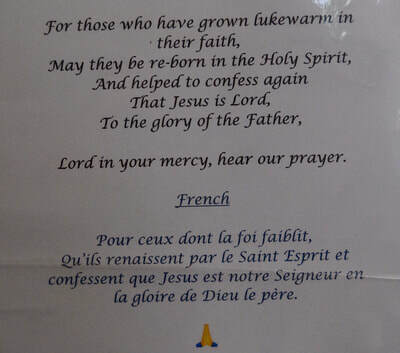 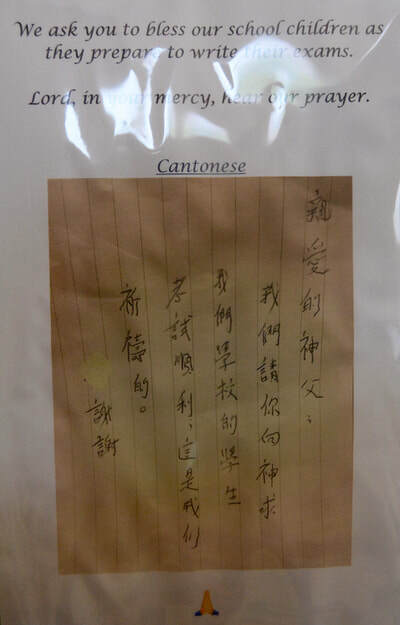 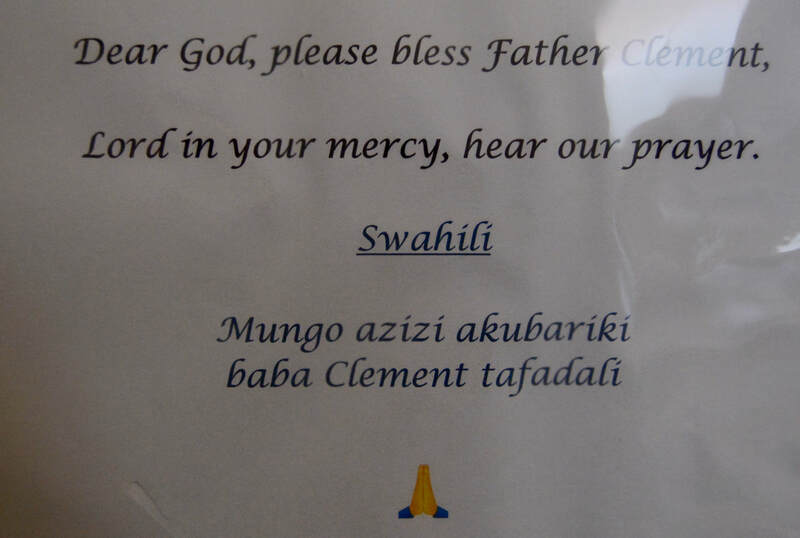 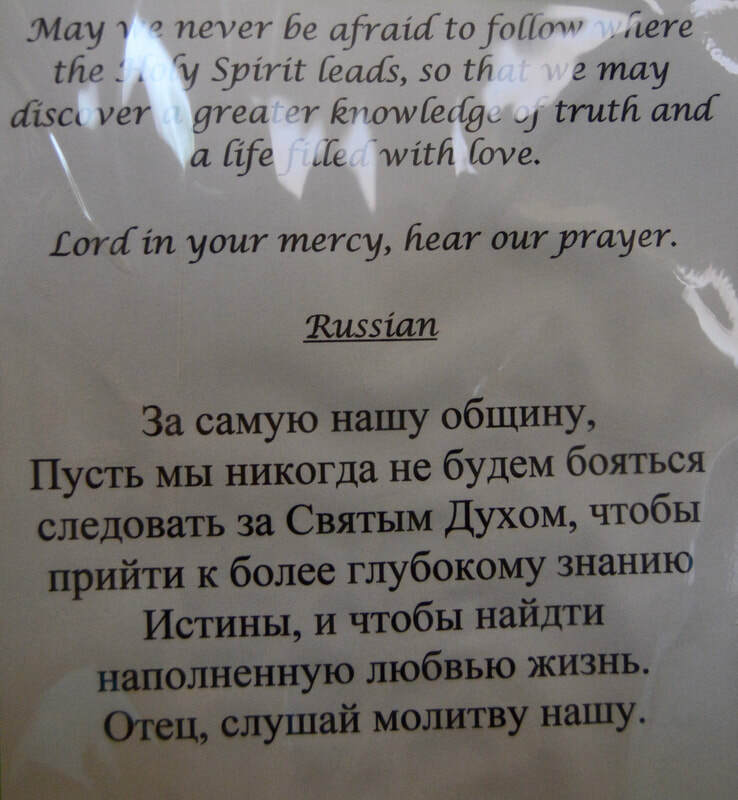 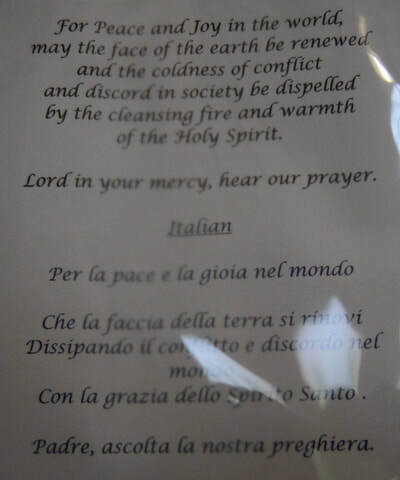 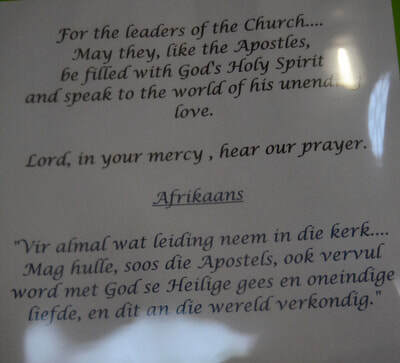 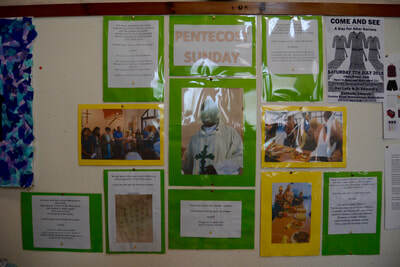 To reflect this, the Bidding Prayers assumed their now traditional multilingual format. As well as in English, each Bidding Prayer was read in a foreign language: Afrikaans, Italian, French, Russian, Swahili, Polish, Cantonese and Czech. 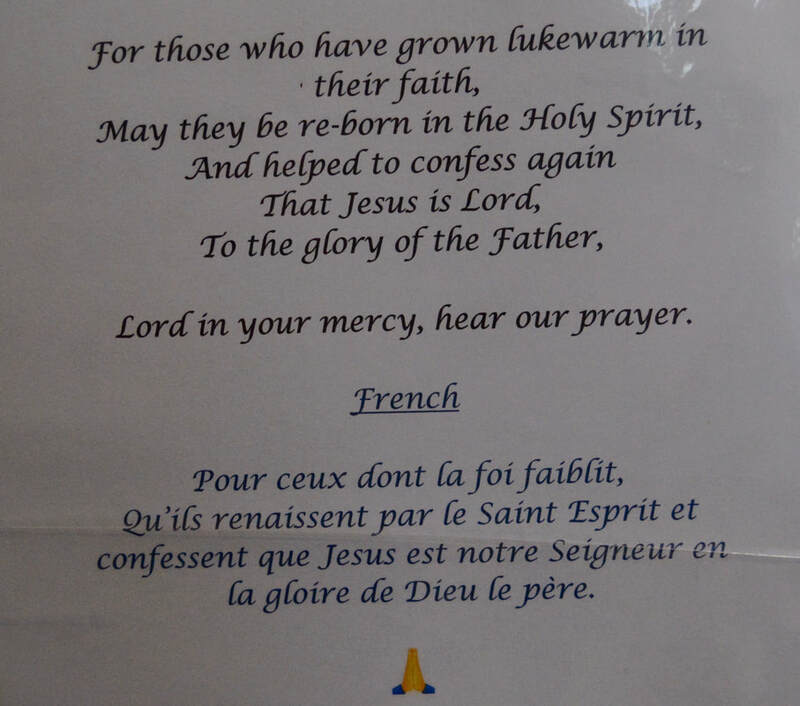 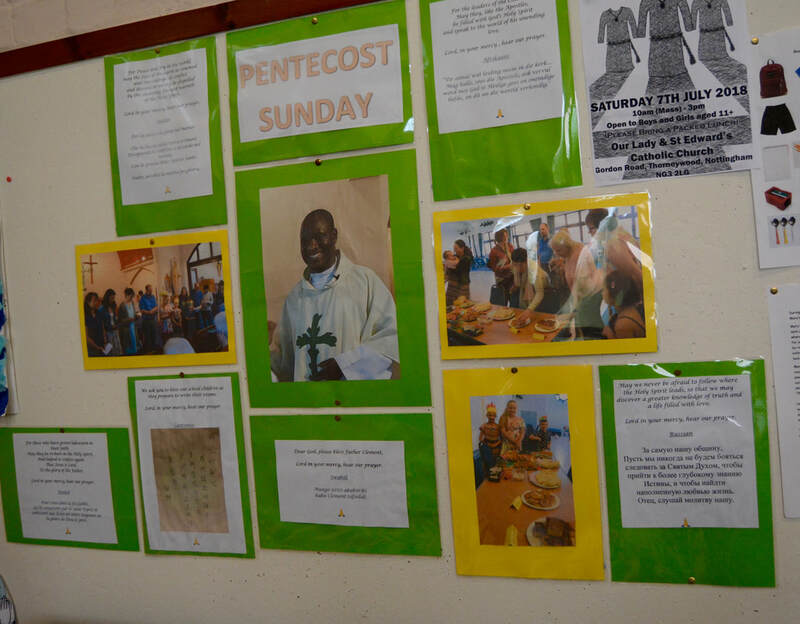 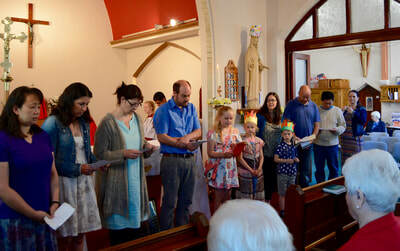 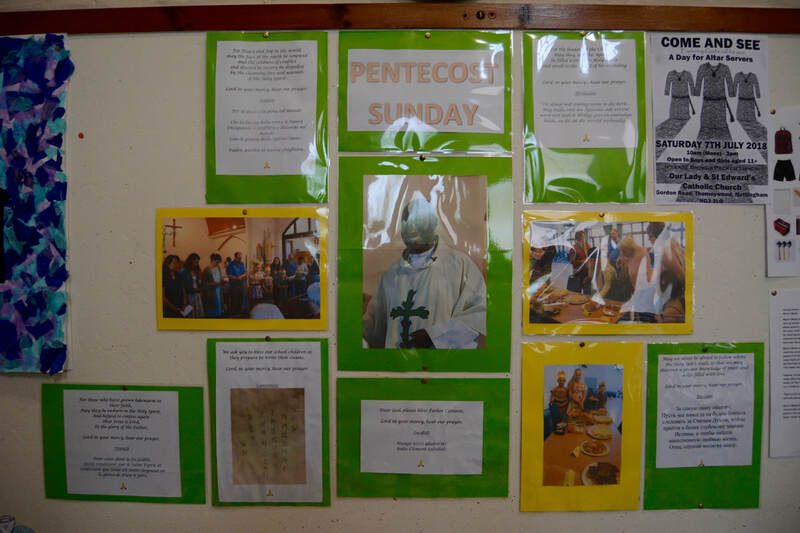 A member of the children's liturgy group also wrote a prayer in thanks for the Holy Spirit and the ability to be like the apostles in spreading the Good News. 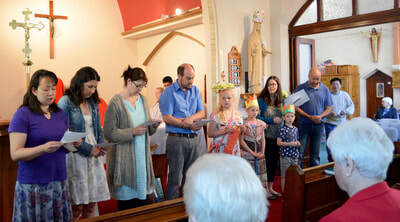 It was a heart-warming and moving occasion that so many the congregation were willing and able to contribute to this very original format. 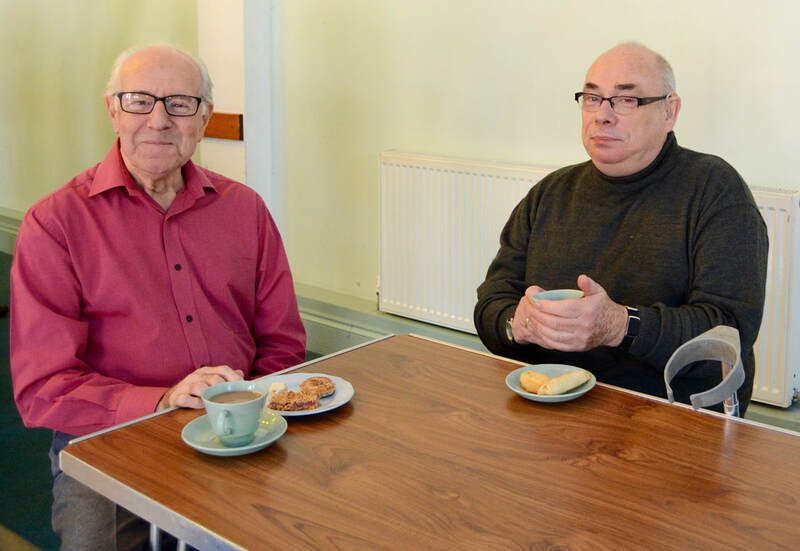 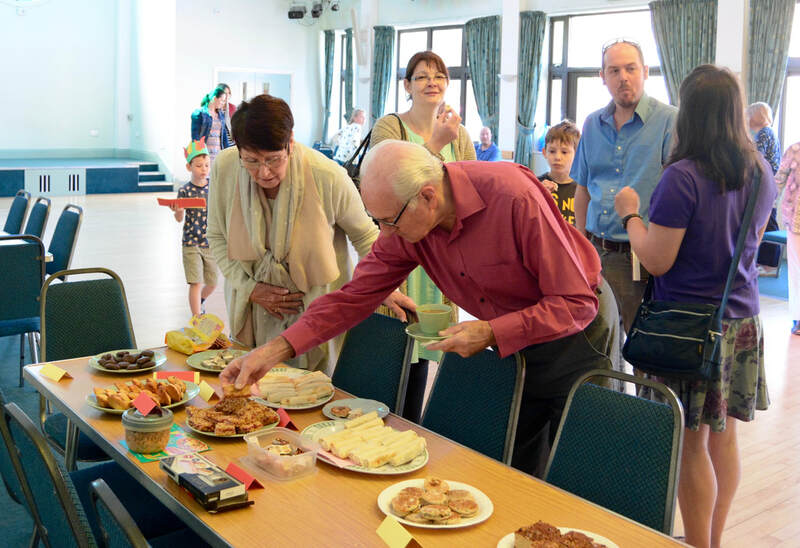 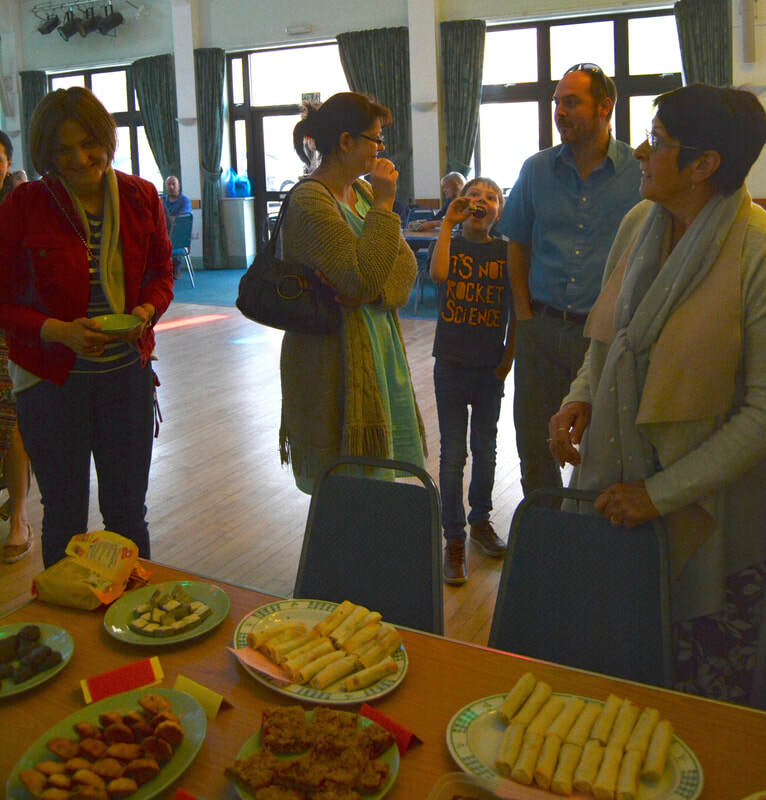 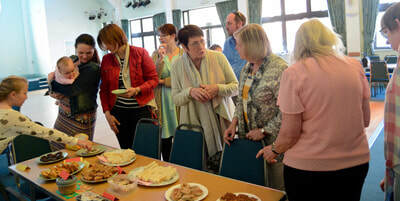 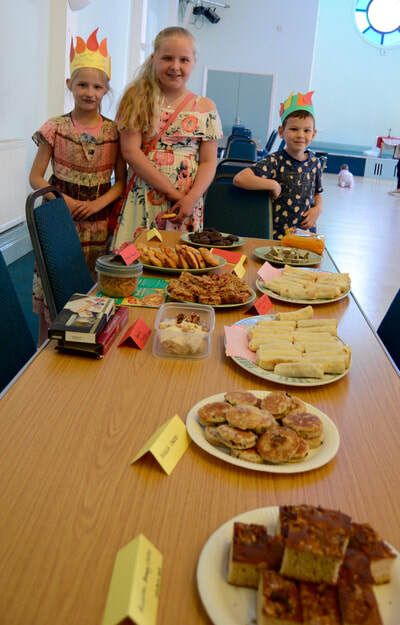 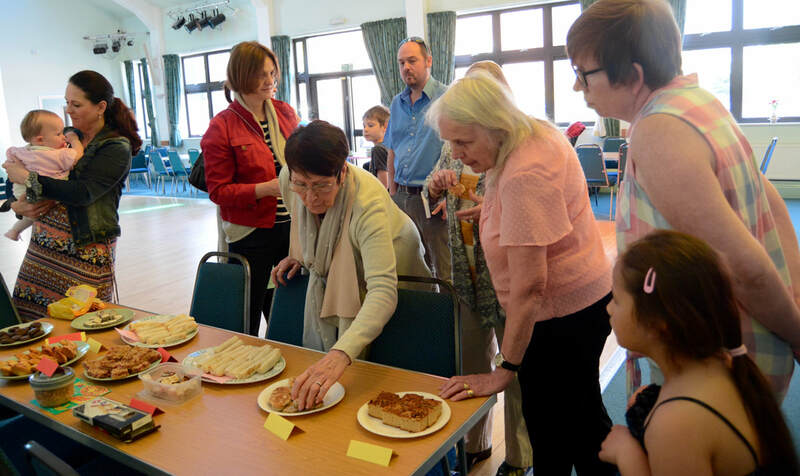 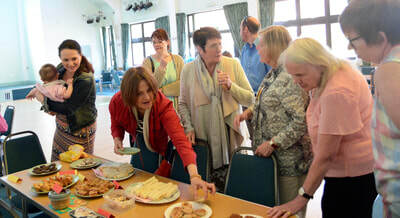 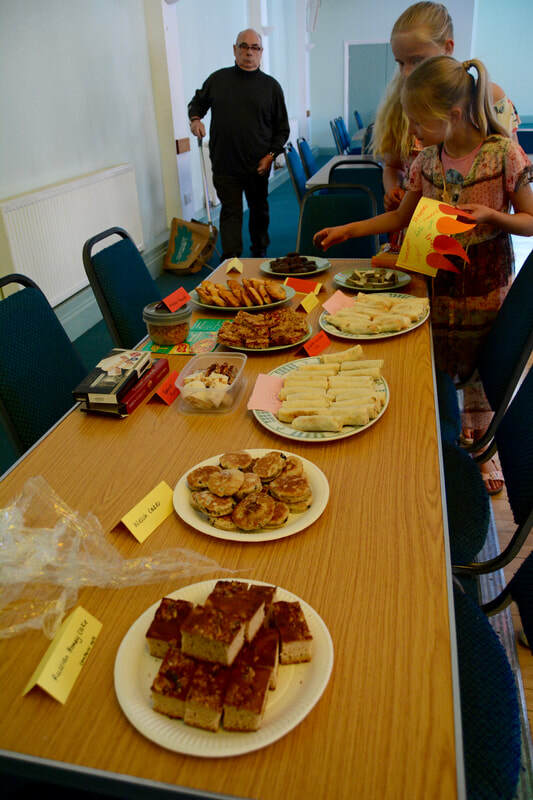 After Mass, parishioners needed little encouragement to sample the delicious food on offer, examples of delicacies from all over the world.